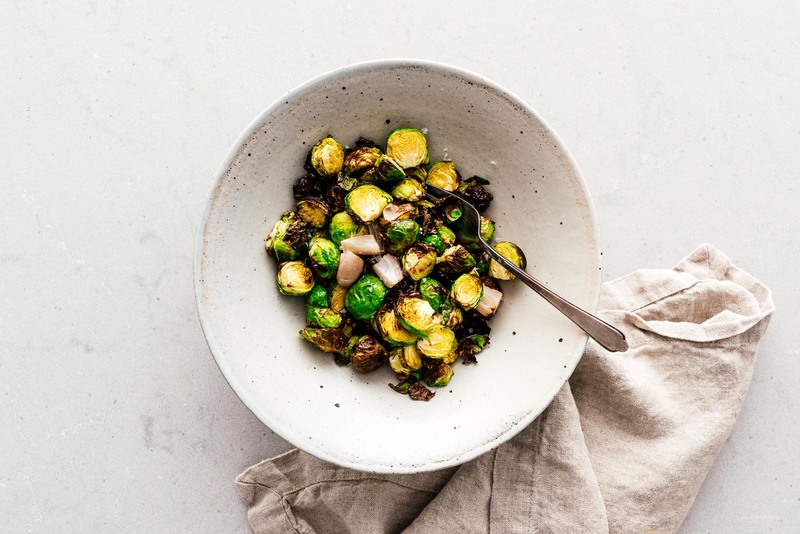 Use your air fryer to make crispy brussels sprouts in just minutes. I’ve been air frying ALL the things. I’m in love with that crispy crunchy texture that the air fryer gives vegetables. It’s funny because I thought I would use it for french fries, but I haven’t air fried a single one. Instead it’s been all vegetables, all the time. Okay, I know potatoes are a vegetable, but you know what I mean. Anyway, after the air fryer broccoli success, I knew the next vegetable had to be Brussels sprouts. I love how Brussels sprouts taste when roasted and I wanted to do a air fryer comparison. The result: crispy burnished leaves with tender sprouts. They don’t get as soft when you air fry, unless you add extra time, but I really like vegetables with a bit of bite, so I didn’t mind at all. 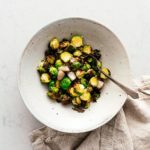 I especially loved that I was able to have a vegan keto roasted Brussels sprout snack so quickly. PS – If you’re wondering which air-fryer we have, it’s this one. I don’t know if it’s the best on the market because it’s the only one we’ve used, but it works great. It’s quiet and easy to clean and really big (which is good because you can put a lot of food in it and bad because it takes up a lot of room in our place). 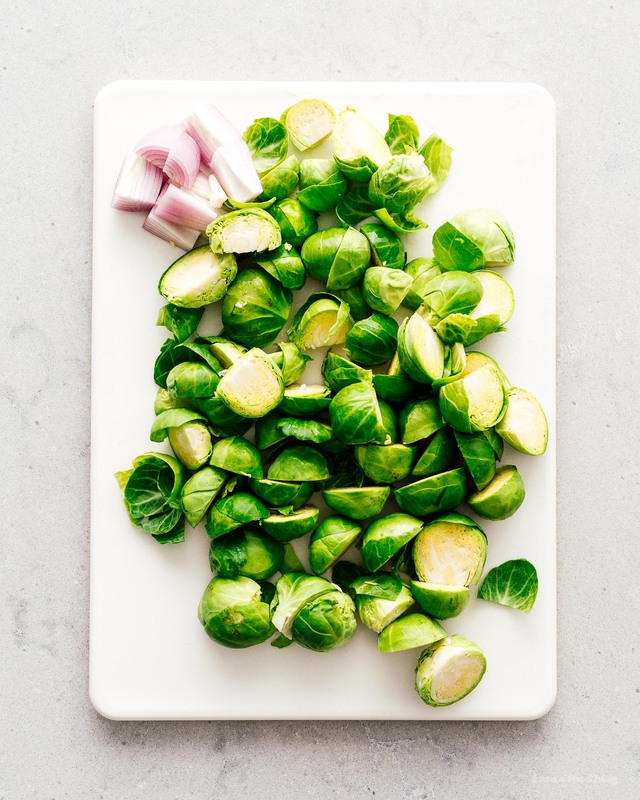 Prep your sprouts by washing and throughly drying. Trim the bottoms and cut in half. 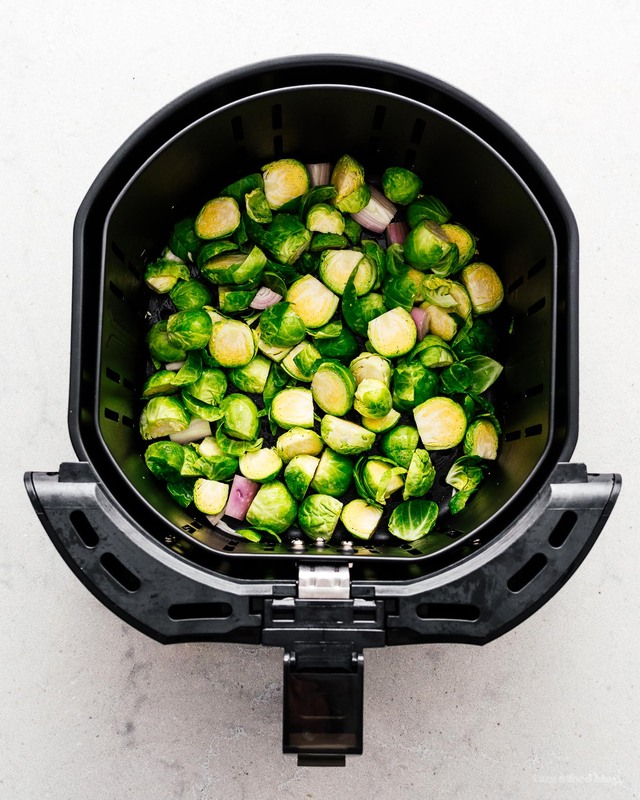 Place the sprouts in the air fryer basket and lightly mist with cooking spray or toss with a small amount of oil. Season with salt and pepper. Add the shallots, if using. Turn the air fryer on at 400°F for 5 minutes. Shake and flip the sprouts, then set it again for 5 minutes at 400°F. At this point the sprouts will be crisp and tender with some charred leaves. Remove from the basket and enjoy!